David Klein Gallery opened in Birmingham, Michigan in 1990 with an exhibition program focused on Post War American and Contemporary art. In the Fall of 2015, David Klein realized a lifelong dream by opening a gallery in downtown Detroit on historic Washington Boulevard. The scale of this architecturally significant space has allowed for an expansion of the gallery’s Contemporary program to now include large-scale exhibitions of painting, sculpture, photography, and installations by emerging, mid-career, and established contemporary artists. Exhibited artists include Susan Goethel Campbell, Mitch Cope, Matthew Hawtin, Scott Hocking, Mario Moore, Brittany Nelson, Kelly Reemtsen, Lauren Semivan, and Rosalind Tallmadge. Recent exhibitions have featured work by Beverly Buchanan, Al Held, Alex Katz, Hugo McCloud, Alison Saar, Kenny Scharf, and Donald Sultan. 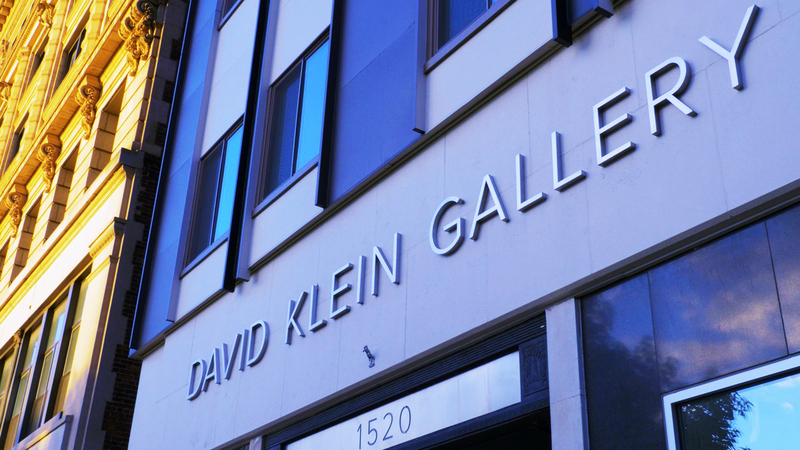 David Klein Gallery offers advisory services for private and corporate art collections. In addition, the gallery is interested in acquiring works of art from private collections and estates. Please contact David Klein at the Birmingham location (248-433-3700) if you would like to discuss selling an individual work or collection. David Klein Gallery is an active member of the Art Dealers Association of America (ADAA).